CALGARY, Alta. – With just weeks to go before the puck drops on the 2019 IIHF World Junior Championship, Hockey Canada has named the 34 players who have earned an invitation to Canada’s National Junior Team Sport Chek Selection Camp, Dec. 11-14 in Victoria, B.C. The camp roster includes three goaltenders, 12 defencemen and 19 forwards. 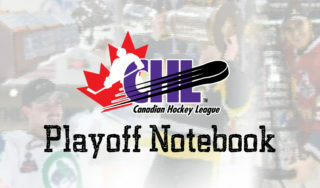 The process of evaluating and selecting the players was led by Brad McEwen, Hockey Canada’s head scout, in consultation with Steve Staios (Hamilton Bulldogs) from the Program of Excellence management group, with input from coaches and general managers across the Canadian Hockey League (CHL). Among the 34 players are two returnees from the team that won World Juniors gold last year: Maxime Comtois (Drummondville Voltigeurs) and Alex Formenton (London Knights). In addition, forward Jaret Anderson-Dolan (Spokane Chiefs) is dealing with an injury, but remains under consideration for a roster spot. His condition will continue to be monitored and a decision will be made prior to the start of the tournament. Canada’s National Junior Team Sport Chek Selection Camp will be held at Victoria’s Q Centre and will feature a three-game series against a team of U SPORTS all-stars Dec. 12-14. 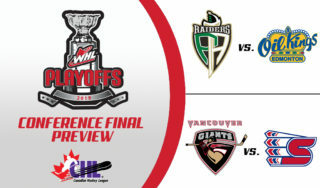 Tickets are $15 plus fees and are available at HockeyCanada.ca/Tickets, as well as at the Q Centre and Save-On-Foods Memorial Centre box offices. Following selection camp, the Canadian squad will be pared down to the final 22 players who will proudly wear the Maple Leaf at the 2019 IIHF World Junior Championship in Vancouver from Dec. 26-Jan. 5, as they look to win Canada’s 18th World Juniors gold medal. 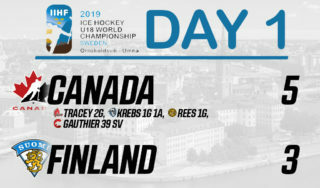 Canada’s final preparations include games against Switzerland, Slovakia and Finland as part of the Lordco Road to the World Juniors pre-tournament schedule. Nine communities across the B.C. will play host to 12 games, featuring all 10 competing teams, from Dec. 18-23. 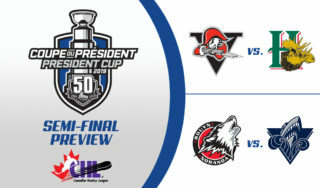 TSN and RDS, the official broadcasters of Hockey Canada, will once again provide wall-to-wall game coverage and analysis throughout the tournament, including Canada’s three pre-tournament games; check local listings for details. For more information on Hockey Canada, Canada’s National Junior Team and the 2019 IIHF World Junior Championship, please visit HockeyCanada.ca, or follow along through social media on Facebook, Twitter and #WorldJuniors.